The doctors and staff at Flagstaff Endodontics believe in a patient-centered philosophy. The needs of the patient are always put first. Dr. Tagle and Dr. Leiendecker will thoroughly explain their findings and make recommendations that are in your best interest. 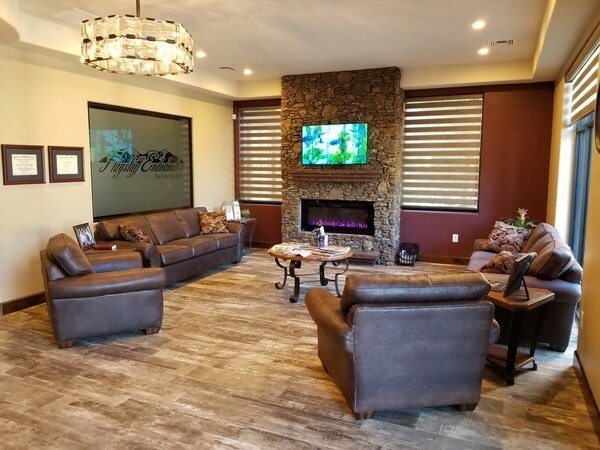 At Flagstaff Endodontics, we strive to make our office a comfortable and pleasant place. Each of our treatments rooms is equipped with a massaging dental chair to keep you comfortable during your procedure. We also have individual speakers in every room and can play whatever type of music you prefer while we work.